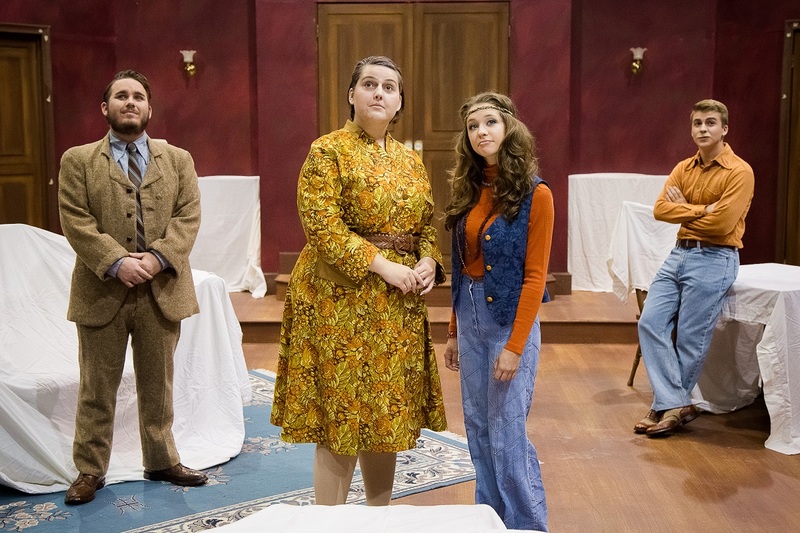 Southern Theatre will present “Veronica’s Room” at 7:30 p.m. Tuesday, Oct. 25, through Saturday, Oct. 29, in the Bud Walton Theatre. This chilling mystery thriller by Ira Levin – author of “Rosemary’s Baby” – explores the thin line between fantasy and reality. Students Susan and Larry find themselves enticed to the Brabissant Mansion by its dissolute caretakers, the lonely Mackeys. Struck by Susan’s strong resemblance to Veronica Brabissant, the long-dead daughter of the family for whom they work. The older couple gradually induce her to impersonate Veronica briefly to solace the only living Brabissant, her addled sister who believes Veronica alive. Directed by Ann G. Lile, the production is for mature audiences only due to language and adult situations. Admission is $5 for adults, $3 for seniors and non-MSSU students, and free for MSSU students, faculty and staff. Box-office hours are 9 a.m. to 3 p.m. For reservations, call the Southern Theatre Box Office at 417 625-3190. For requests for accommodations related to a disability, contact Terri Spencer at 417 625-9393 at least 72 hours before the performance.